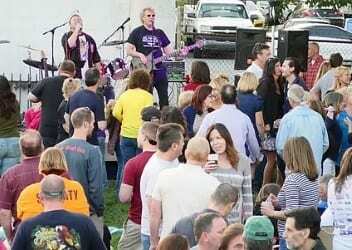 Both the Perry Hall/White Marsh Business Association and Parkville Carney Business Association have announced their respective lineups for their 2017 Spring Concert Series. The PHWMBA 2017 Spring Concert Series will be held every Friday in May at Perry Hall Middle School, located at 4300 Ebenezer Road, 21236. All shows start at 6 p.m. The PCBA Spring Concert Series will be held every Friday from May 5 through June 30 at Racers’ Cafe, located at 7732 Harford Road, 21234. All shows go from 6 to 9 p.m.